Beautiful ground floor condo in desirable Bradford Commons with an attached one car garage! 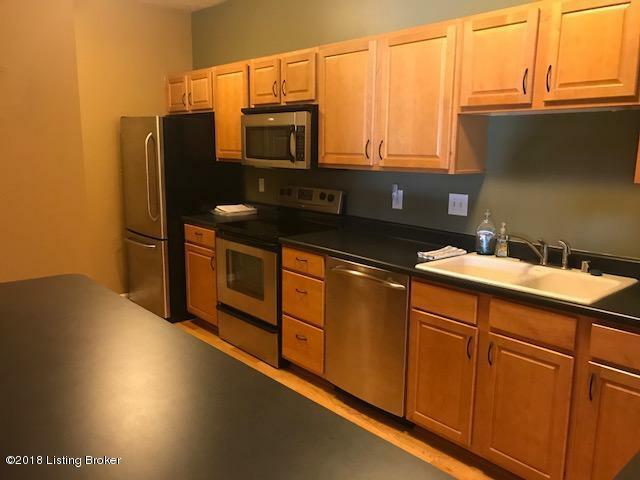 This is a very nice condo with hardwood floors, eat-in kitchen with stainless appliances, breakfast bar & pantry, dining area, and living room with fireplace. The master bedroom suite has a private bath and two walk-in closets. The 2nd bedroom also has a walk-in closet, and there's a possible 3rd bedroom or office/study. There are 9' ceilings throughout with modern neutral colors. Pool and clubhouse, and water and garbage included in monthly maintenance fees. Call today for your private showing.